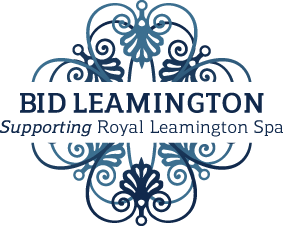 The BID Leamington marketing plan is driven by research and data sourced from a number of Internal and External Drivers. It has also been structured around the Customer Lifecycle to ensure that it remains customer-focused. The following objectives and KPIs have been identified to guide BID's marketing activities and to measure progress. To develop and enhance the Royal Leamington Spa brand, raising its profile and promoting it in a unique and consistent way. The town has a vision. There are recognisable USPs. We know the target audiences, key messages and have a graphic language including photos. To retain customers who live locally by developing their loyalty to the town centre and building community spirit. Increased local registration to the website. Increased participation in promotions. Increased social media activity. To attract shoppers from neighbouring towns and cities within a 30-40 minute drive or rail catchment. People in Coventry, Rugby, Stratford, Solihull and Birmingham know about the town's offer, visit and return. Increased Footfall, Parking usage, Website activity. To capitalise on our neighbouring tourist assets by increasing brand awareness and attracting visitors to the town. Visitors to Stratford, Warwick and Coventry know about us and can get here. Customer Survey. Increase in website activity. To promote and enhance the town's offering to students, ensuring Royal Leamington Spa as a place to stay post-study. Increased involvement with Warwick University and Warwick College. Link with local employers to enhance employment opportunities. To provide high quality experiences in the town centre that will attract people, increase their dwell time and spending, and encourage return visits. There are regular events on in town. The town is clean and attractive. There is a seasonal calendar of beautification and retailers have pride in the place. To ensure people can find what they are looking for and are able to explore and experience the whole of the town's offer. People can find their way around and have awareness of the day and evening economy offer. To drive return visits by ensuring first rate customer service and a truly unique and inspiring retail offer. Customer satisfaction survey, retailer feedback and Tourist Information engagement. Number of Independent stores. Attractive window displays and high standard of presentation and products. To develop promotions that enhance existing retailer and shopping centre activities and allow for increased retailer participation. Links to Royal Priors & Regent Court marketing plans. Promotions that can be supported by multiples. Increased retailer involvement. To develop mutually beneficial stakeholder and community partnerships that achieves maximum impact of BID activities. Increased involvement of stakeholders. Positive community feedback. To promote the town's investment potential and support growing business sectors. WDC advertises BID. Improved website. Increased involvement with estate agents, planning proposals and businesses. Our customer research has identified Leamington's target audience as being made up of the following demographic. People who live and work in Royal Leamington Spa and Warwick. Sub-regional and regional visitors. Tourists who are visiting Stratford, Warwick, Cotswolds. Extending to London, Birmingham and Coventry for events and conferences. Students at Warwick University, Warwickshire College and Coventry University, who live in Leamington Spa and Coventry. People looking to live, work and start a business in the area. In order to continuously improve our marketing and events activities, it’s vital that we measure their performance. One of the most accurate ways of doing this is by monitoring the number of visitors to the town centre. There are 8 thermal cameras located in the BID area that monitor shopper activity and produce accurate footfall figures. The cameras are situated at Parade, Warwick Street and Regent Street.